Furthermore, you have the possibility to pick among the customization options proposed by Lucrin. 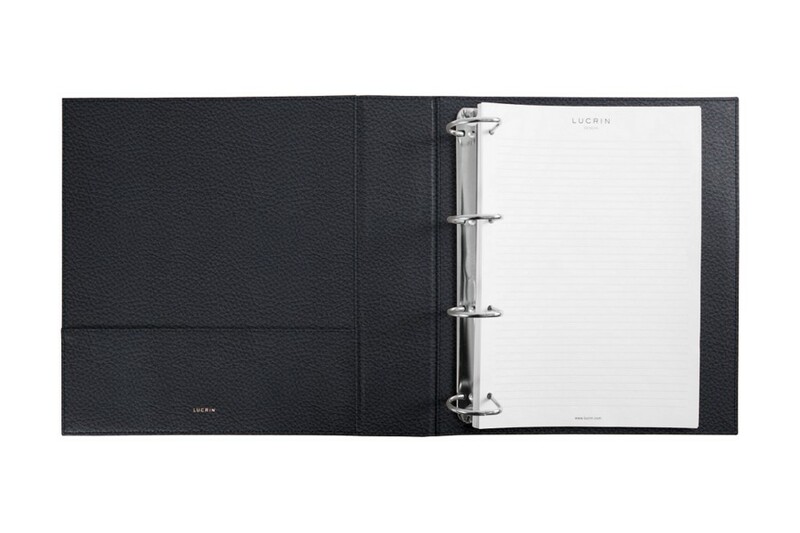 For instance, you will be able to choose the engraving of a header on the leather A4 Documents Binder. 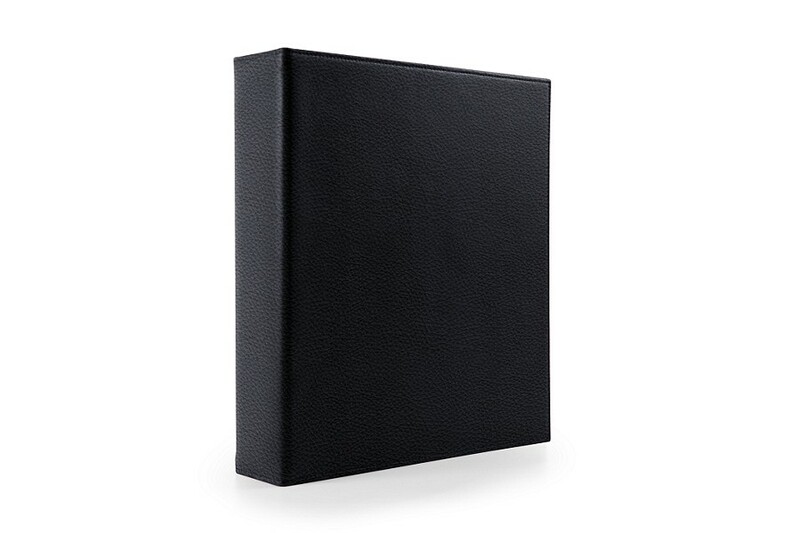 Besides the exceptional finish and the high-end leather, this A4-format ring binder also boasts of a solid nickeled mechanism with 4 D-shaped rings, which can contain around 350 sheets. On the left-hand side, you have a very practical flat pocket in which you can slip in some surplus sheets that would not be classified. 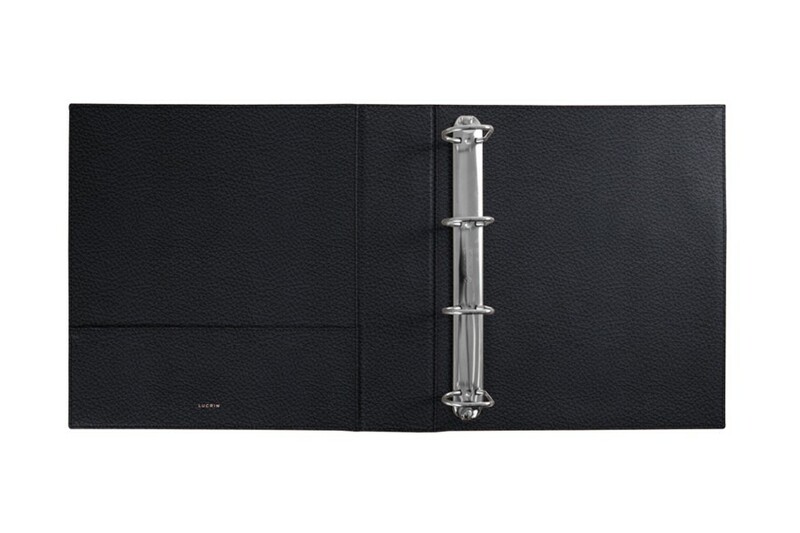 If you are looking for organisation with a decent hint of elegance, whether at home or at your office, this A4 leather ring binder by Lucrin is the perfect choice. 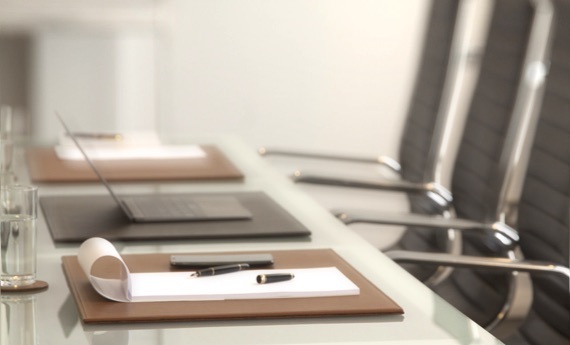 Delivered with a refill of 100 paper sheets of A5 format, lined on the recto and blank on the other side.